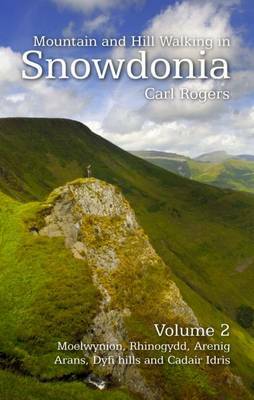 Following the success of "A Pocket Guide to Snowdonia's best Mountain Walks" published in 2007, Mara Books have launched Carl Rogers' new book "Mountain and Hill Walking in Snowdonia", a two-volume in-depth pocket sized guide to mountain walks in the Snowdonia National Park. Every hill group in the National Park is covered in detail and the book is lavishly illustrated in full colour with the author's photographs and relief maps. Volume 2 covers the lesser-known southern half of Snowdonia - Moelwynion, Rhinogydd, Arenig, Arans, Cadair Idris and Dyfi hills, as well as outlying areas like the Tarrens, Snowdonia's southern-most summits, and the Berwyns, lying just outside the National Park boundary. Every summit of note in Snowdonia is covered by at least one route, all the routes are full-day circular walks and include some low-end scrambles. The routes are a mix of well known 'classic rounds' such as the Snowdon Horseshoe and Moel Siabod, as well as many lesser-known routes and summits. Each route is described in detail and is accompanied by a full colour relief map as well as information on official parking, distances and height gained.